Sweet sound of multiple reels screaming as each rod doubles overwhen your bait spread is suddenly ambushed by a pack of monster Wahoo orhow about a school of Yellowfin Tuna skyrocketing on an outrigger baitand burning 300yds of line off of a 50 wide better yet, the beautifulyellow, green, and blue colors of a Mahi-Mahi as it jumps to free itselffrom the end of your line.. That?s Myrtle Beach Gulf Stream Fishing atits finest with Feedin? Frenzy Charters and Captain Keith Logan. The mild winter that we had here in Myrtle Beach has got the biteoff the a early start. The Gulf Stream bite for Wahoo, Mahi, andBlackfin tuna is about 3 weeks early. The mild winter has got the GulfStream waters pushed close to the break this year. This has YellowfinTuna biting going on now. The last good year for Yellowfin Tuna was2006. 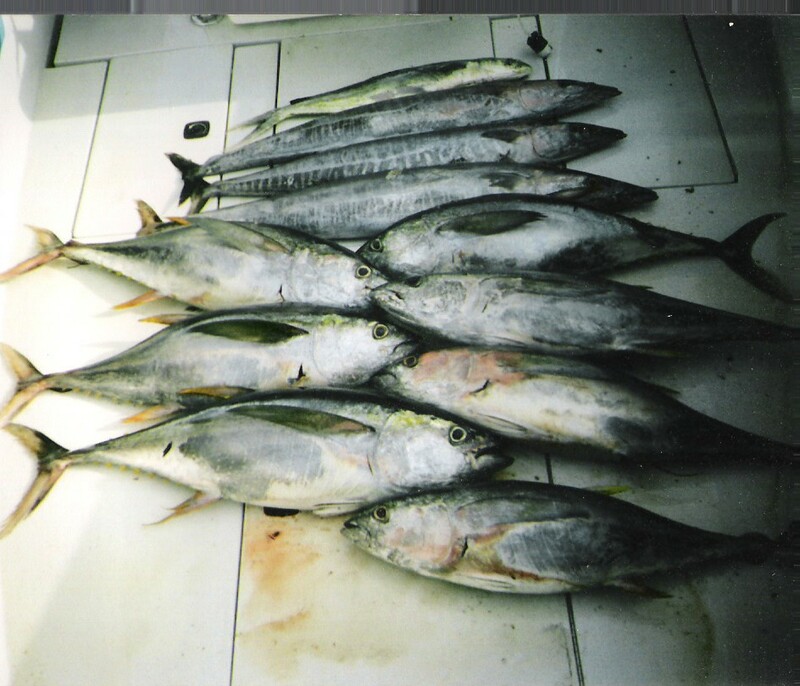 Back before 2006 the Yellowfin bite would fire off just afterMarch 15th and run thru the end of April. We are off to a good yearfishing the Bluewaters of the Gulf Stream? With the mild winter and above average March temperatures the Inshorebite is HOT? The Flounder bite is getting better as the days go by. Weare catch flounder in the 14? to 16? range on Mud Minnows. Redfish aremoving along the marsh grass and around piers. We have had the best luckwith Live Shrimp when we can get them. Mud minnows are all so workingwell on the Redfish. The Trout are still hanging around the deep holes.Live Shrimp has been working well on the Trout too. Come fish with one of the most successful Captains in the business. Feedin? 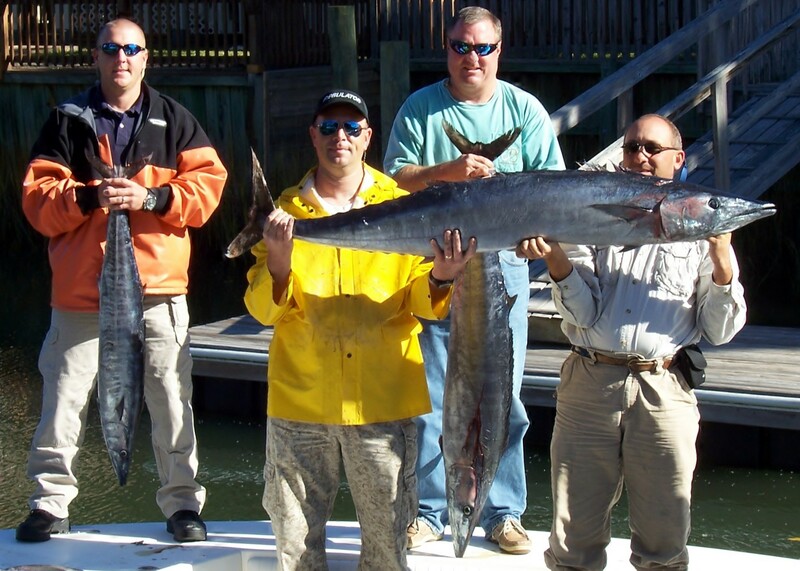 Frenzy Charters Is The Premier Myrtle Beach Fishing Chartercovering Myrtle Beach, North Myrtle Beach, Cherry Grove, Little River,Sunset Beach, and Ocean Isle Beach, Call us to book your FishingCharter today, as we are booking up fast for April and May Fishingtrips. Call Captain Keith at 843-907-0064 or book your charter on-lineat North Myrtle Beach Fishing Charters to reserve your Myrtle Beach Fishing Trip.